The Cavaliers have lifted Andrew Bynum's suspension, but he remains excused from team activities. CLEVELAND — Andrew Bynum’s suspension from the Cleveland Cavaliers lasted just one day, but the end of his stint with the team is all but official. Bynum was suspended without pay Saturday for one day for conduct detrimental to the team. Team officials said Sunday that the suspension has been lifted and he is now getting paid again — but that Bynum remains excused from team activities. That’s sort of the legalese version. The layman’s version: Bynum is on paid leave, and on the trading block. If the Cavs can’t find any takers, they’re expected to waive him before Jan. 7. If he isn’t traded or waived before then, the Cavs will have to guarantee the second half of his $12.25 million salary this season. According to FOX Sports Ohio sources, the decision to suspend Bynum was the result of smaller incidents that took place over time, capped by a more significant one Friday at practice. The Cavs are having no success at trading Bynum, as teams are unwilling to part with assets for such a major uncertainty, sources said. Bynum missed all of last season with the Philadelphia 76ers with knee issues, including surgery on both knees in March. Several league sources said dealing him will be a challenge, but possible. The 7-footer has played in 24 games with the Cavs, starting 19. He’s compiled averages of 8.6 points and 5.3 rebounds. 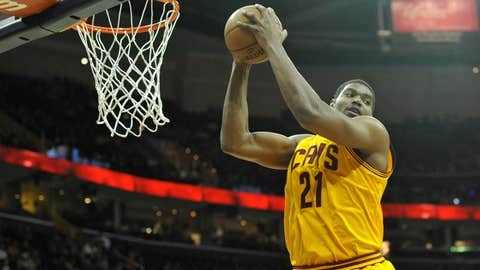 The Cavs needed time to adjust playing with Bynum at center, and now must readjust to playing without him. "The biggest thing is not many teams have a guy that can score in the low post," said Cavs coach Mike Brown. "Even growing up, everything now is shooting (3-pointers) and transition basketball and pick and roll and drive and kick. To be able to understand how to play through the post is a unique skill set." 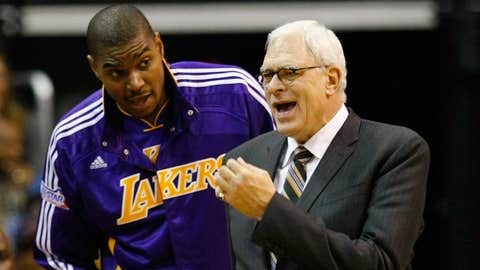 The suspension for Saturday’s loss at Boston was believed to cost Bynum about $111,000.